WASHINGTON -- Michelle Obama says she felt alone after a miscarriage 20 years ago and she and Barack Obama underwent fertility treatments to conceive their two daughters, according to her upcoming memoir. In some of her most extensive public comments on her White House years, the former first lady also lets her fury fly over President Donald Trump's "bigotry and xenophobia" -- rhetoric, she wrote, that was "deliberately meant to stir up the wingnuts and kooks." "Becoming" is one of the most anticipated political books in memory, ranking at the top of Amazon's bestsellers on Friday. That's often the case with the memoirs of former first ladies, including Hillary Clinton and Laura Bush. 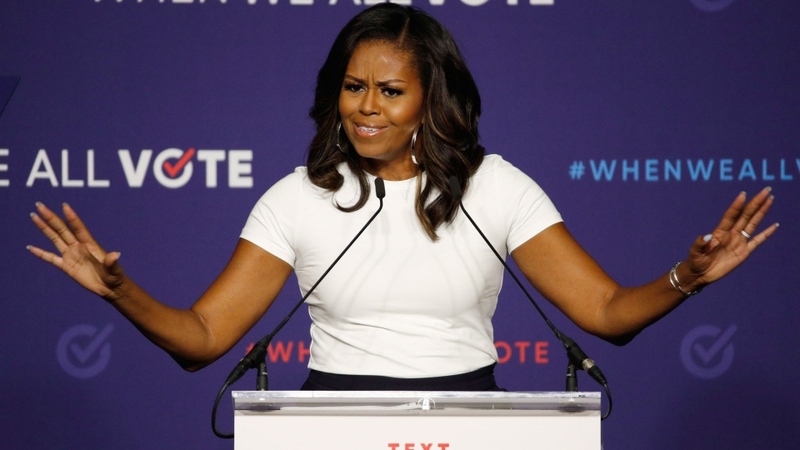 But Mrs. Obama defied her exalted status in the annals of history by cultivating an image of a modern woman with whom many Americans would like to sip wine and chat. Their first kiss set off a "toppling blast of lust, gratitude, fulfilment, wonder," she wrote. Confronting racism in public life -- being the first black first lady, wife of the nation's first black president -- has been a bracing experience, in Mrs. Obama's telling. She agonized over what she feared was a cartoonish, racist image. She remembered being labeled "angry" and, by the Fox network, "Obama's Baby Mama." In the White House, she knew she would be labeled "other" and would have to earn the aura of "grace" given freely to her white predecessors. She found confidence in repeating to herself a favourite chant: "Am I good enough? Yes I am." She writes that Trump's questioning of whether her husband was an American citizen was "crazy and mean-spirited" -- and "dangerous." Trump suggested Obama was not born in the U.S. but on foreign soil -- his father was Kenyan. The former president was born in Hawaii.